It is not uncommon for companies to go bankrupt all of a sudden, especially airline companies that often fail to match up with the competition and are forced to cease operations. But the way Wow Airlines from Iceland shut down their company on the 28th of March 2019 was unbelievable, mainly because it came without any prior notice and they didn’t even inform more than 10,000 people who were traveling or were scheduled to travel via their airlines. Here is what we know so far. Based in Keflavik Airport, Wow Air had its headquarters in Reykjavik. It was founded in 2011 and was slated to be an extremely low-cost airline. The company was founded by Icelandic entrepreneur and investor, Skuli Mogensen who is the owner of an Investment firm named Titan which happens to own the majority of the shares in Wow Air. He also co-founded Oz Communication, which was eventually acquired by Nokia, when he was just a student. 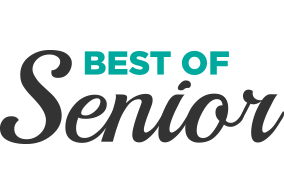 Born to parents who were orthopedist and financial director of the city of Reykjavik, Skuli took a keen interest in business and his various ventures prove just that. Wow Air operated its first ever flight in 2012, and they offered flights between Europe, Asia, and North America. They even acquired another low-cost carrier Iceland Express’s operation and network. This airline used to operate with leased equipment. 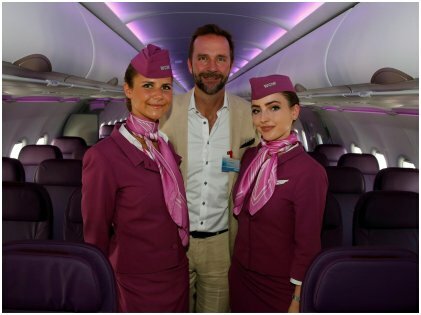 Soon, Wow Air’s customer base saw a surge and they flew their one-millionth passenger in 2014. They saw huge growth in their business and their annual passenger capacity became 1.6 million in 2016. Problems surfaced back in 2018 when the company tried hard so that they could merge with other companies. Talks were on about another low-cost carrier Icelandair and Indigo Partners, but none of them worked. Icelandair said the pre-conditions proposed by their shareholders were not met, while Indigo Partners canceled due to some technical failure. It was unfortunate that despite being the Businessman Of The Year in Iceland twice in 2011 and 2016, Skuli Mogensen failed to stop the bankruptcy that was brewing. 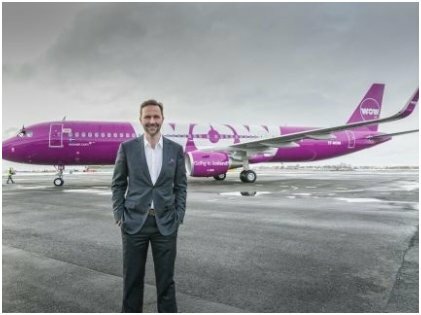 Even before shutting down the company, Wow Air was forced to bring down their employee number from 1000 to 360. On March 28, they finally ceased operations, and Skuli Mogensen sent an apology letter to his employees regretting not taking proper steps before. However, their decision affected a huge number of travelers who were to fly with them on that day or afterward. The company requested them to buy tickets from other airlines and customers couldn’t even reach them through their customer care number. Most customers were enraged to see the amount of dishonesty on the owner’s part. Even the employees had to deal with angry customers all night, thanks to the insensitive and sudden decision taken by the head of the company. What Are The Stranded Passengers Saying? An estimate of over 10,000 people has been stranded due to the stunt pulled by Wow air. 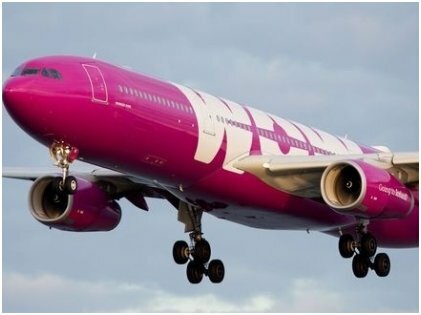 Icelandair had been offering some special discount for Wow Air passengers, but since all were scrambling to purchase tickets, many who tried to get hold of the discount were forwarded to an automated call service that asked them to go back to the original website to get tickets. 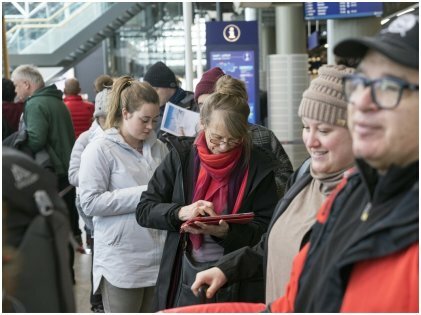 Austin Graff, one of the stranded passengers, couldn’t even get hold of a real person when he arrived at the airport, looking to talk to officials of Icelandair. Over 5000 tourists are stranded in the country just like him. The main woe is that though Iceland is beautiful, the cost of staying one extra day can be heavy on the pocket. It is surprising to see Wow Air get away without taking any responsibility at all. Though customers are being asked to share their booking information via private messages, there is no doubt that the whole chaotic situation would take months to get resolved. And the worst part is, most customers won’t probably get a refund. Those who had booked their flights via Hopper will thankfully get back their money, but chances are bleak for others. Another European low-cost carrier Primera Air went out of business a few months back, leaving thousands of people stranded. Maybe it is time for officials to think of effective measures to properly deal with customers who are left high and dry after such shutdowns. Getting a refund is the least that customers can get, notwithstanding the amount of harassment and the loss of time and money they face due to unforseen events such as this whole debacle with Wow Air.